This blog is meant for Thinking Big but small things and little pleasures are also important for leading a balanced life. 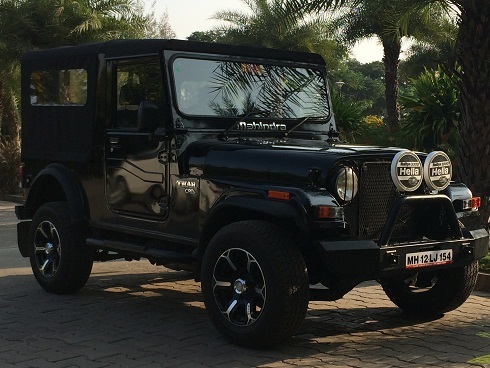 I took the test drive of the same jeep about a year back, Brinda wanted an SUV instead, something practical. So we test drove many vehicles; either they were too big or too fancy. Nothing came close to my requirement of a rugged, basic vehicle with a classic look. As soon as I sat in it again after almost a year, I knew I was home. Recently I intentionally took a taxi ride in an old Ambassador during our trip to Delhi. What a feeling!! Where else in the world, would you get this opportunity? You can still own an Ambi, Conti or ride that Classic Bullet!! After living here for the last few years, I have realized that you would do well if you are adventurous, seeker or both. If you can embrace Uncertainty/Unpredictability, you’ll love India. It is a refreshing change from the monotonous life of the corporate world (or of a developed country). You don’t need to be an Indian to do that; see what this lady did, read her inspiring journey..many life lessons are embedded in that. She also blogs and has her facebook page. This entry was posted in Living & Thriving in India on February 27, 2017 by admin.